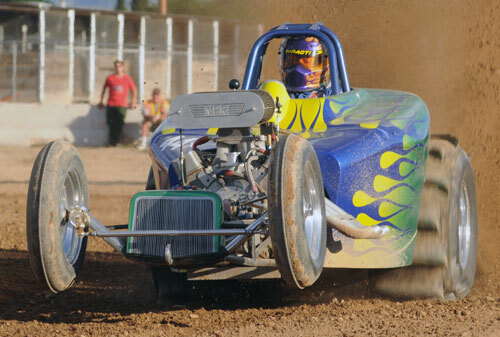 Qualifying is complete at the Mertens Heavy Equipment Repair Springnational Sand Drags at the Mohave County Fairgrounds in Kingman, AZ. 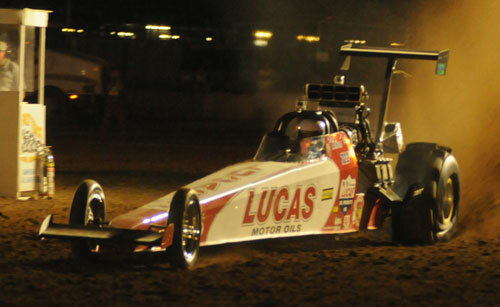 Dennis Rieck upped the ante with a great 2.37 to take the top spot in the Top Fuel class. Gary Mink stole the show in Top Alcohol with a 2.45 in the final qualifying session. Jim DePasse (Pro Outlaw FE) and Daniel King (Fast Fours) held on to their top qualifying spots from Friday. 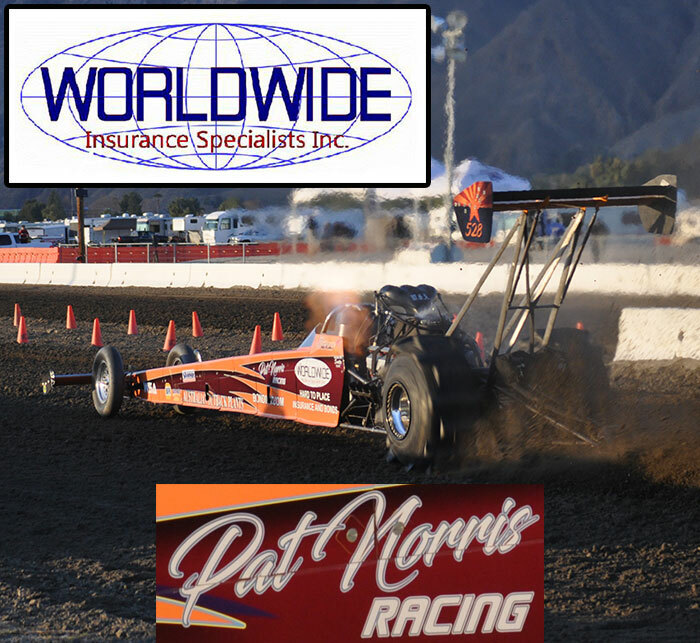 Paul Taylor ran a 2.956 to take the top spot away from Billy Morris in the Top Eliminator class. Phil Soper (Sportsman 1), Alan Mamer (Sportsman 2), Kendall Banduna (Motorcycle Sportsman 1), Westerman Smith (Motorcycle Sportsman 2), and Aimee Mamer (Junior Dragster) were today’s big winners. Day 1 of the Mertens Heavy Equipment Repair Springnational Sand Drags at the Mohave County Fairgrounds in Kingman, AZ is complete. Marcus Norris came out on top in the Top Fuel qualifying session, running a 2.57 to take the provisional top spot into Saturday’s final qualifying. Scott Carroll accomplished the same feat as Norris, leading the Top Alcohol class. Jim DePasse laid down a stellar 3.01 to top the Pro Outlaw field with his wild Blown Jeep. DL King put the tune up in the Animal Control dragster & grand son Daniel guided the car to a spectacular 2.82 to top the Fast Fours class. Billy Morris & the 2 Dolla’ Bill Team continued their recent hot streak with an excellent 2.957 (2.95 Index) to top the class. Eliminations go off tomorrow for Sportsman & Junior classes along with final qualifying for the heads-up classes. 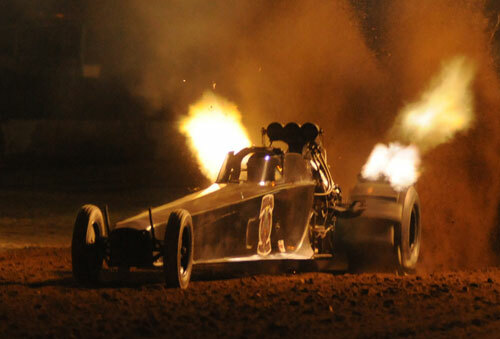 Lengendary drag racing photographer Tim Marshall is on-site at Kingman this weekend and is supplying NSDN with some of his best shots of the event. Tim has 8x10 prints available as well as Photo CD's of a racer's particular car. Photos can be purchased from Tim at the track or through Tim Marshall/Donna Bistran Photography. They can be found online at http://nitrodreamingphotography.shutterfly.com . Enjoy some of Tim's great work. 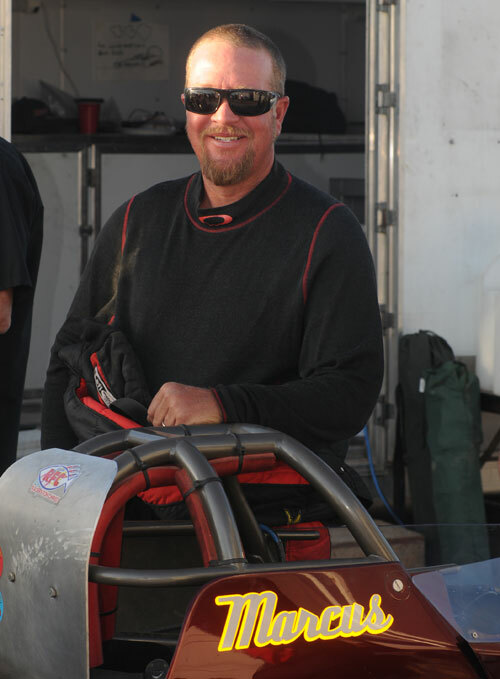 #1 Qualifier in Top Fuel Marcus Norris has a lot to smile about after Day 1 in Kingman. Jim DePasse in the Otis Simpson/DePasse/Larry Minor Motorsports Rat Poison Jeep laid down a great 3.01 to lead the pack in Pro Outlaw FE. Scott Carroll prepping for his turn at the track, which carded a #1 qualifying spot in TA with a 2.61. Dan Allen laid down a pretty 2.67 in the Lucas Oil TA Dragster for the #2 qualifying spot. 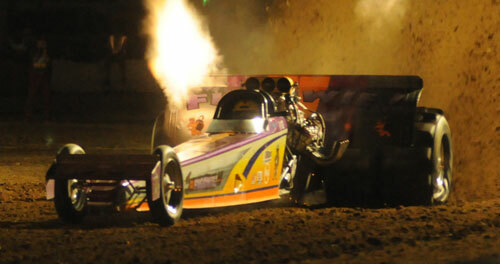 Terri Blair with the header flames high in the Fugowie Fueler ran a 2.74 to start off their weekend. 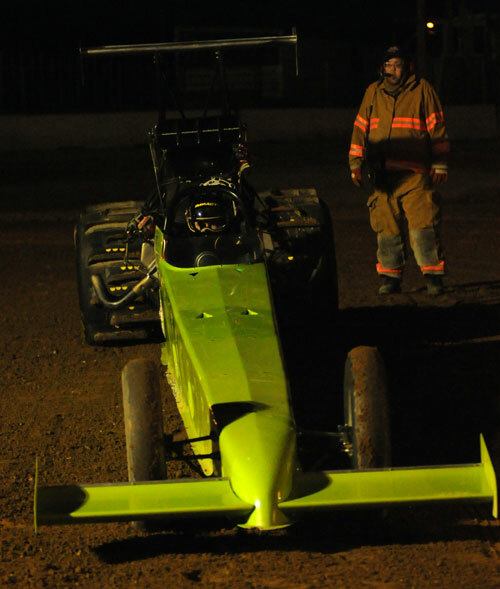 Dennis Rieck had the candles lit in the Hammer Down Fueler. He was on a great pass before problems set in down track & relegated him to a 2.64 for the #2 qualifying spot. An awesome photo by Tim Marshall of Nick Schultzman with a great wheels up charge. Nick ran a best of 3.91 during Test and Tune.